February 1st, 2017 marks the 31st anniversary of the annual National Girls & Women in Sports Day. This is a national observance celebrating the extraordinary achievements of women and girls in sports. 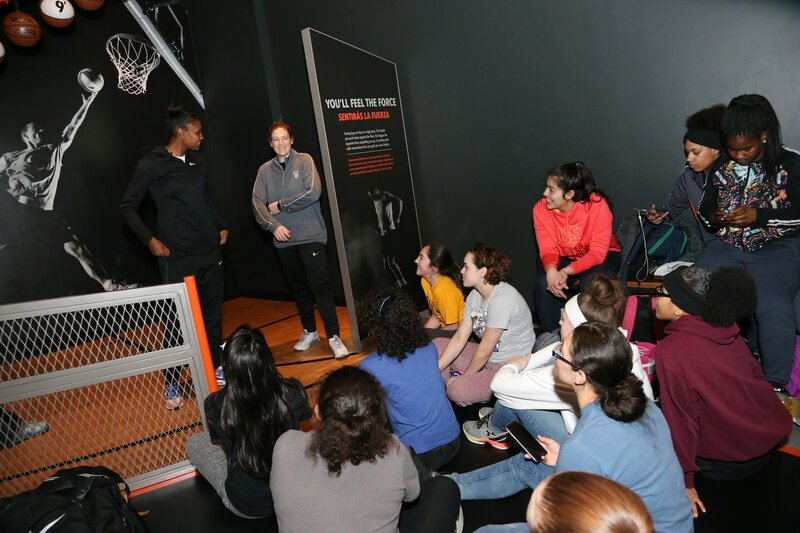 To commemorate the day the Minnesota Lynx hosted 20 athletes from Humboldt Senior High School at the Science Museum of Minnesota. 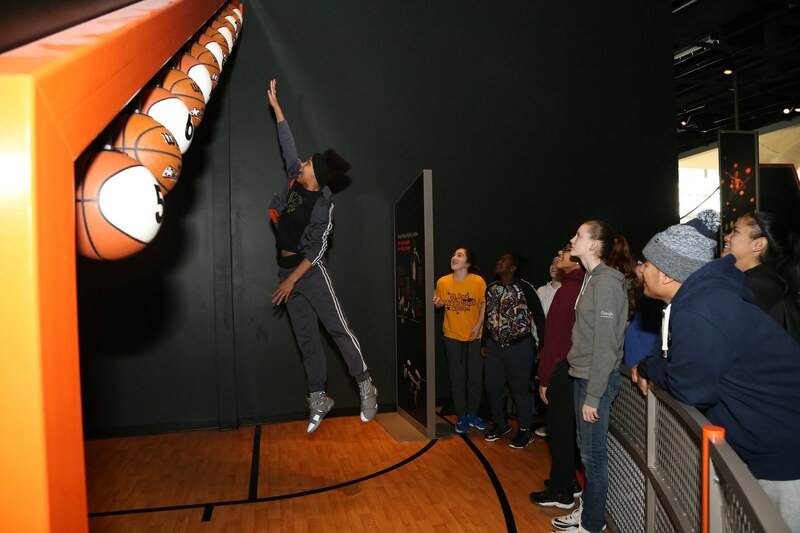 The students got to experience the new exhibition, Sportsology, which gives them a chance to study the body in motion and gain a better understanding of exactly what it takes to make a basket. The students received a surprise visit by Lynx players Lindsay Whalen and Rebekkah Brunson. 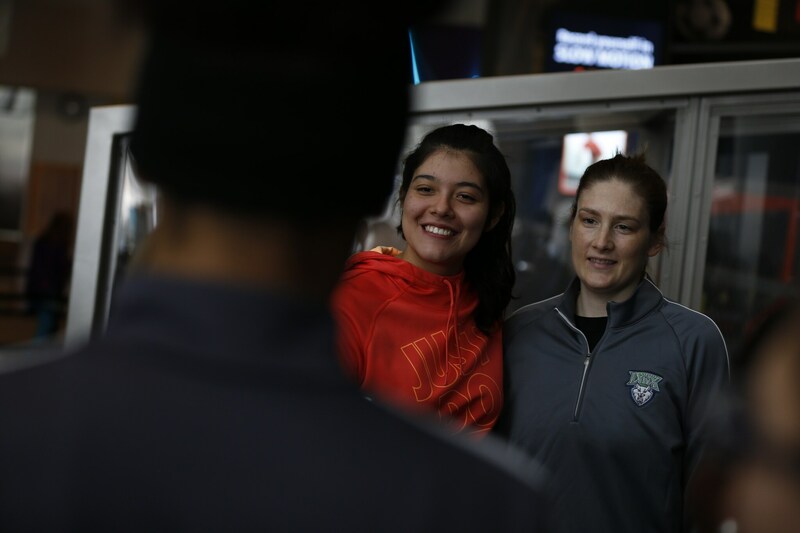 Lindsay Whalen posed for a photo with a student. 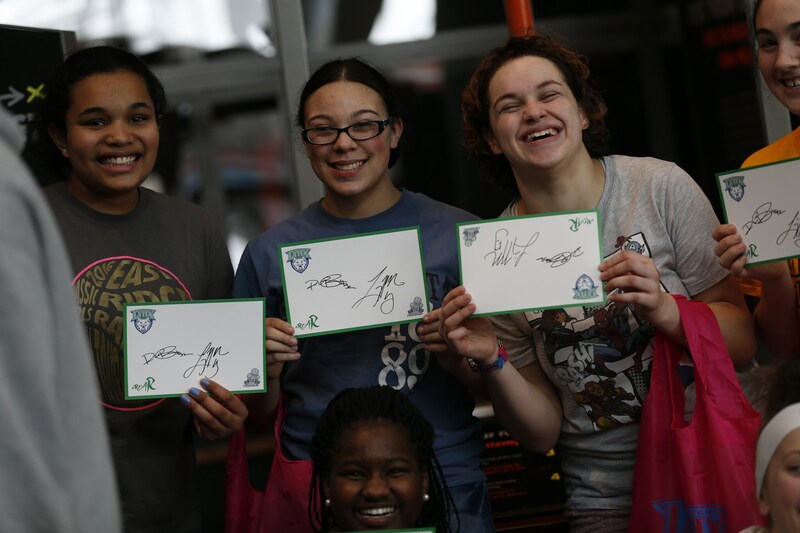 At the end of the event, each student got an autograph and photo with Lindsay Whalen and Rebekkah Brunson. 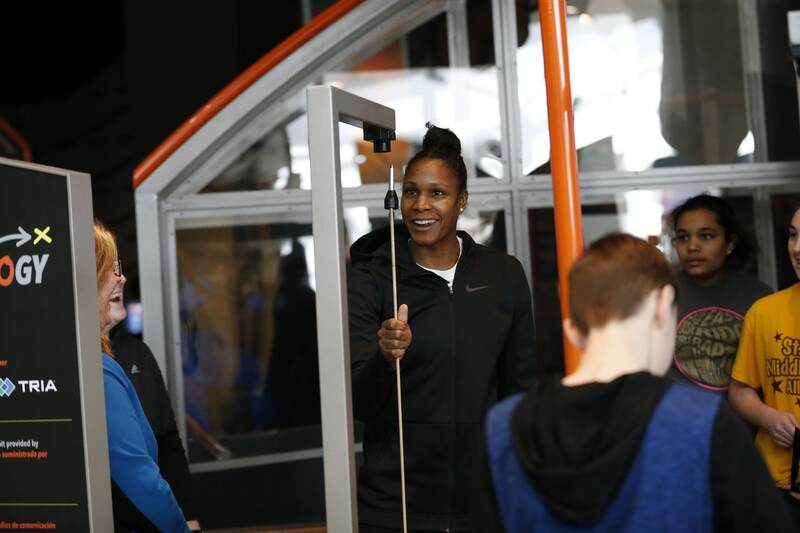 The students enjoyed the new Sportsology exhibit at the Science Museum. Rebekkah had fun trying out the new Sportsology exhibit at the Science Museum of Minnesota. 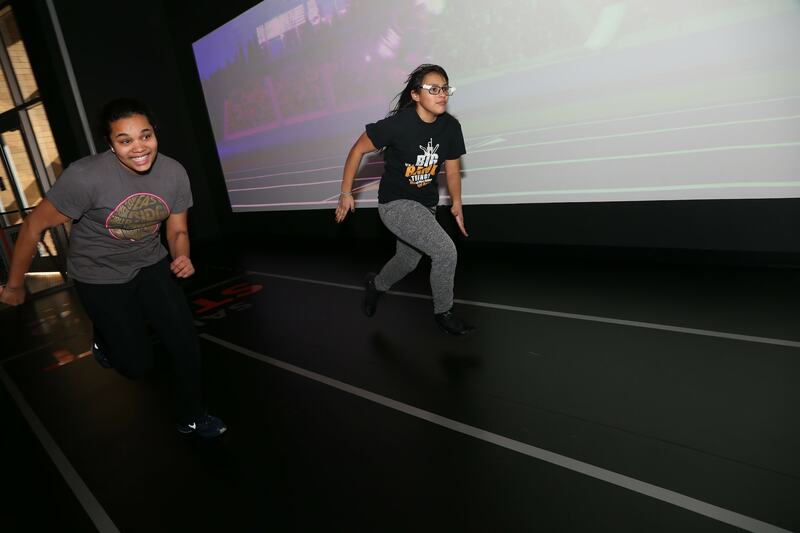 The students had a fun time seeing how high they could jump at the Sportsology exhibit. 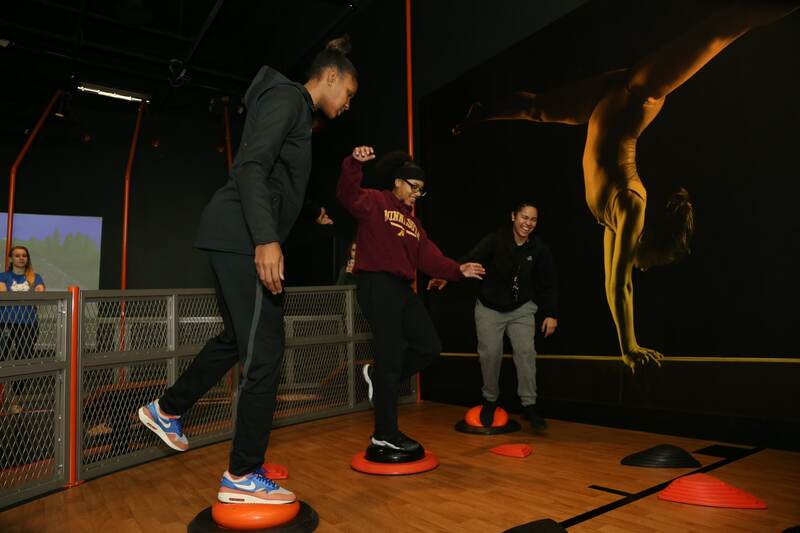 The students and Rebekkah tested their balance at the Sportsology exhibit at the Science Museum of Minnesota.